Shuta Hasunuma (b. 1983) is a Japanese artist and composer who applies the methodology of his musical compositions to a range of other media, producing videos, sound works, three-dimensional sculptures and installations. He has released solo records, in addition to producing a number of commissioned works and collaborations that straddle performing arts and cinema. 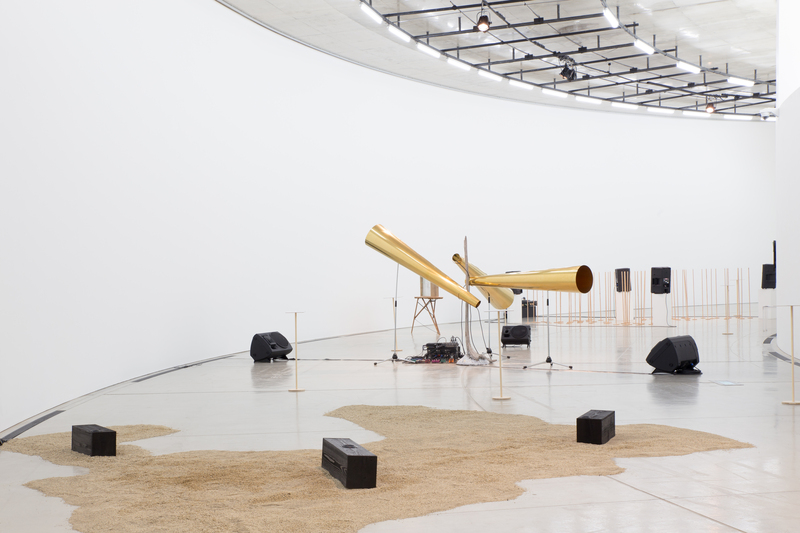 Selected exhibitions include compositions at Beijing Culture and Art Center (2017), compositions – rhythm at Spiral Garden, Tokyo (2016), and compositions – time, space and architecture at Aomori Contemporary Art Centre (2015). Hasunuma’s residency is part of a special project made possible with support from Shiseido, which will culminate in an exhibition at Pioneer Works in February 2018.